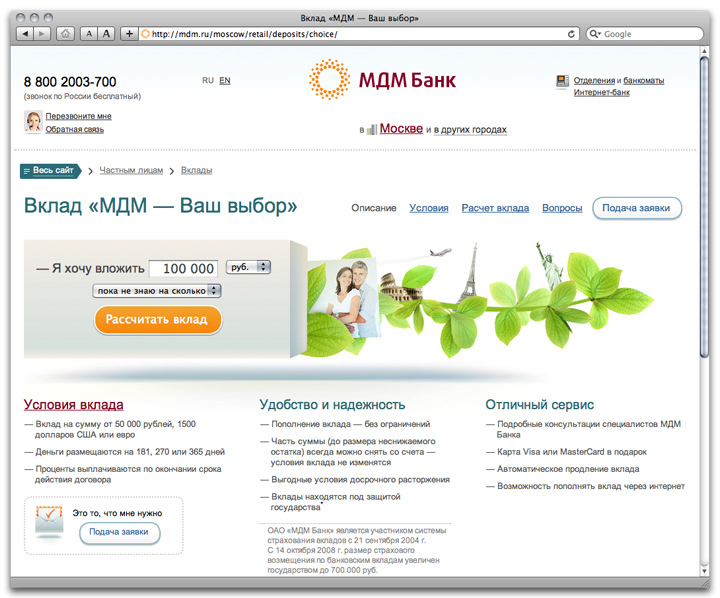 Problem: Design a clean user-friendly website offering banking services. 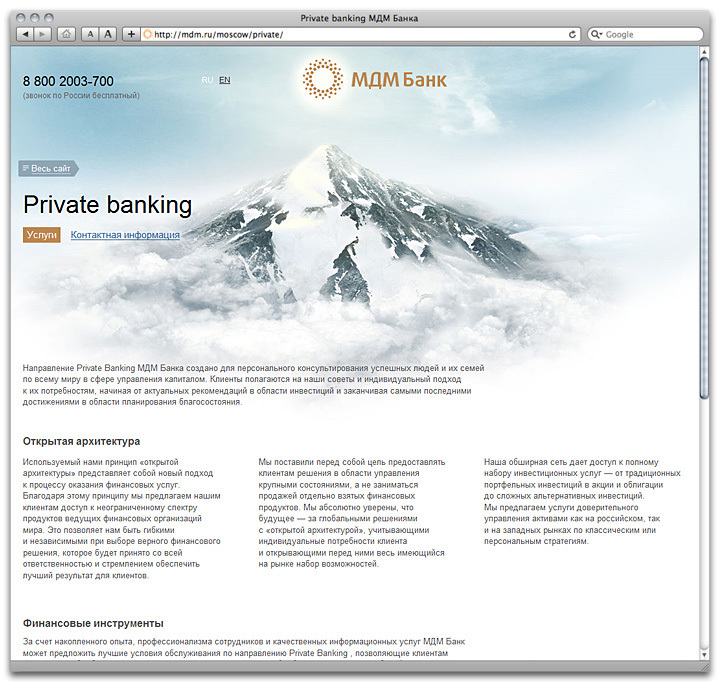 MDM Bank is a Russian business bank that has been offering commercial banking services for 20 years. 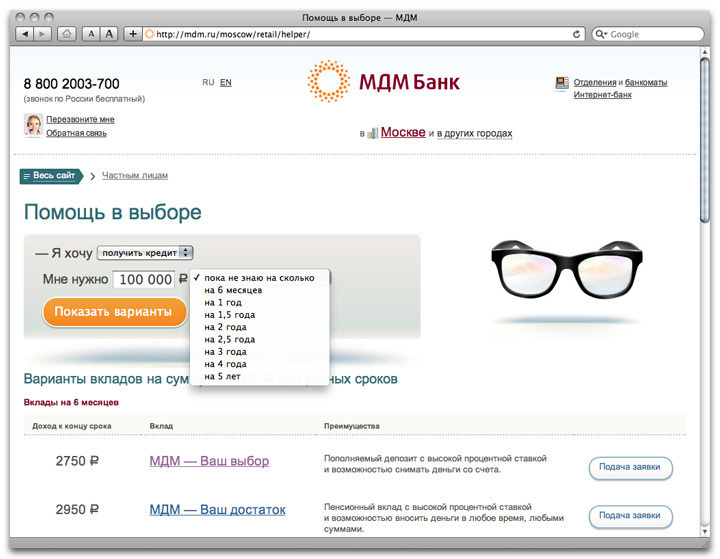 It has the total of 163 divisions throughout Russia and in four capital cities abroad, and over 3 million clients. Their business expanding, they needed a new website. The website features design solutions that are going to gain wide recognition among web designers in this country. There is a clickable element that reads “Entire website” and appears on every page, so you can view the sitemap at any time. This allows you to use as much space for navigation elements as you need and arrange them independently from the page content. This kind of menu is easy to manage—you can have it well-organized, with items nicely grouped, etc. Online calculators, like friendly assistants, are there to suggest options, even if you don’t know which loan or deposit would fit you best. 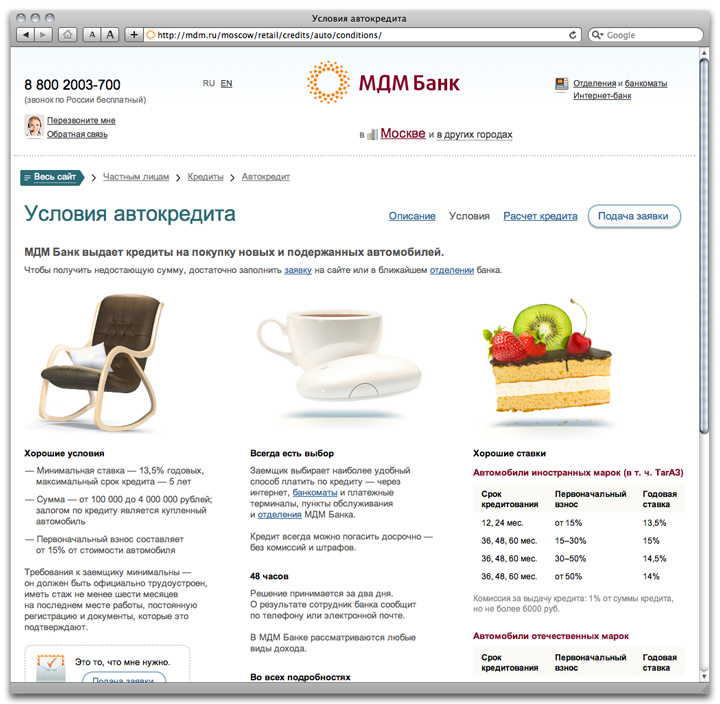 Financial product pages are as simple as can be—main information is right up front, while more details and computations are available inside. 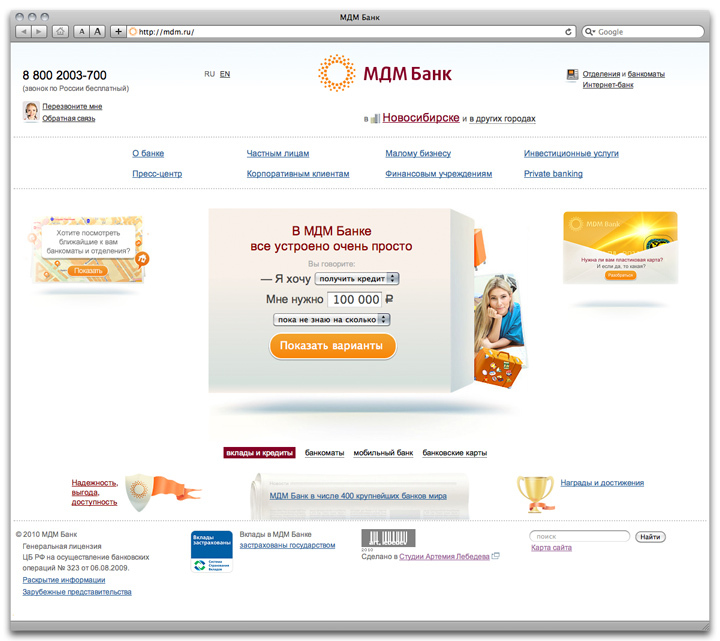 This is yet another effective way for MDM Bank to offer their services.